The US economy is strong, but most Americans aren't feeling any richer. 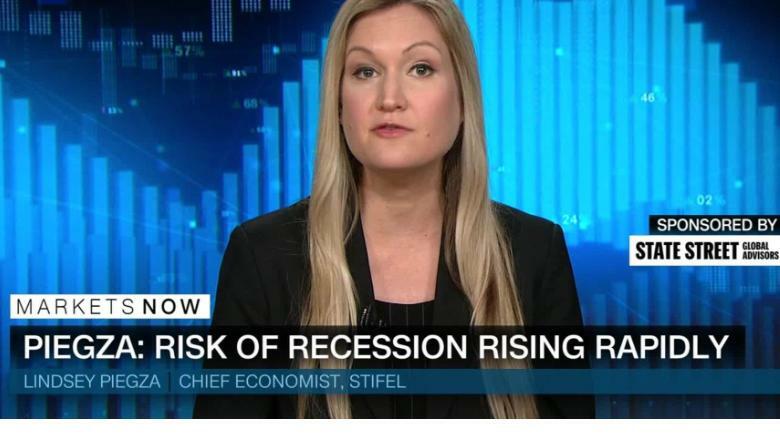 "Consumers are still very fragile," Stifel Chief Economist Lindsey Piegza said on CNNMoney's "Markets Now" on Wednesday. "Their economic footing hasn't really changed or improved." Piegza said that the new tax law has been a boon to companies, but that hasn't translated into more spending money for Americans. The Trump administration promised that a lower corporate tax rate would allow companies to pump money back into the economy. But most businesses have instead used the extra cash to offer stock buybacks to investors. Piegza pointed out that consumers are still "outspending' previous years -- but they're dipping into savings or relying on credit card debt. Plus, she added, lower gas prices meant consumers had more spending money. Recently, the price of oil has been volatile. "There is a disconnect between what we're seeing in the data and what Main Street America is feeling," Piegza said. 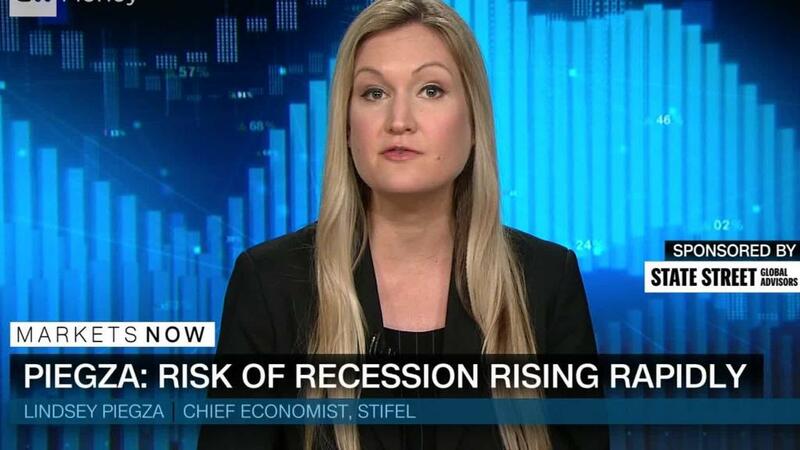 Stifel Chief Economist Lindsey Piegza on "Markets Now." Piegza also warned that a recession could be near. "The risk of recession rapidly rises as we look out to the second half of 2019 and into 2020," she said, because wages aren't increasing by much and business investment is slowing down. "When we look at the economy from a more broad perspective, we see the underlying momentum beginning to wane," she said. "Which does suggest that the economy will continue to bleed growth." CNNMoney's "Markets Now" streams live from the New York Stock Exchange every Wednesday at 12:45 p.m. ET. Hosted by CNNMoney anchor Maggie Lake and CNNMoney editor-at-large Richard Quest, the 15-minute program features incisive commentary from experts. Newton filled in on Wednesday. Recent guests include BlackRoc' (BLK)s Rick Rieder, former Chrysler and Home Depo C (HD)EO Bob Nardelli and bitcoin bull Mike Novogratz.